Golf Doorstop. 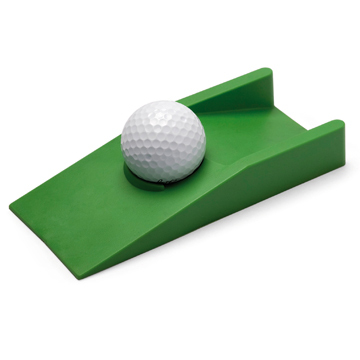 If you like golf and do not want to bother you when you're improving your shots, use this doorstop and quiet practice. Now while still in office, you can practice and improve your style. At those times you need a little bit off or think of something to make a decision, playing a little golf is thought best. You decide if you want the door open or closed.